This is a heck of a way to ring in the New Year. First thing this morning, President Trump sent off a Tweet blasting Pakistan. He slammed their inadequate efforts against terrorism and implied that US foreign aid will be terminated as a result. Pakistan is a nuclear power and if we pull our funding, either Saudi Arabia or Russia will step into the void. But it’s the right thing to do here. We have given this terrorist country $33 billion over the last 15 years and all we’ve gotten in return is empty words and betrayal. Whether Trump means cutting them off entirely or only partially, it is a good move. “The United States has foolishly given Pakistan more than 33 billion dollars in aid over the last 15 years, and they have given us nothing but lies & deceit, thinking of our leaders as fools. They give safe haven to the terrorists we hunt in Afghanistan, with little help. No more!” That was the tweet that the President sent out this morning around 7 am EST. We were already considering cutting off $255 million in military funding this week. Cutting off all funding takes it to a much higher level. All of this comes in the wake of Pakistan refusing to allow US interrogators access to a captured terrorist from the hostage-taking Haqqani network. Pakistan is making a massive mistake by toying with the Trump administration. Gone is the weakness of Barack Obama and Trump tends to keep his word on things like this. The Pakistanis are supporting those in Afghanistan that are killing our troops and Trump won’t stand for it. 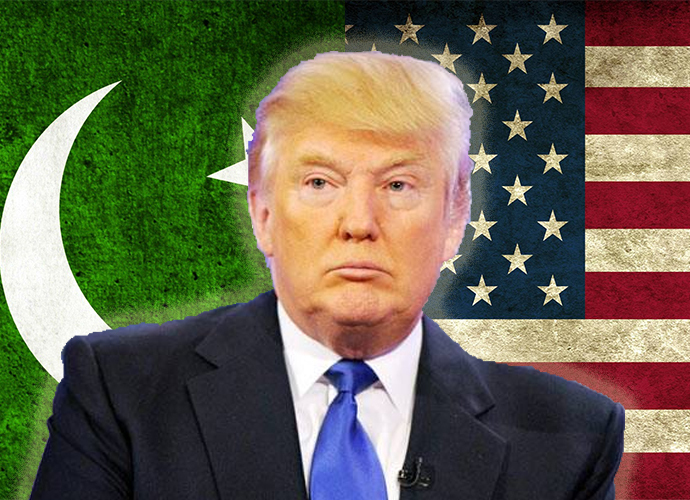 As recently as last August, President Trump said the “next pillar” of his strategy for battling terrorism would involve a “change in our approach to Pakistan.” Good to his word, Pakistan just came up on our dance card. Trump accused Pakistan of giving “safe haven to agents of chaos, violence, and terror.” You can’t argue with that statement. It may bring more terrorism, but it’s time to face the enemy here and resolve this once and for all. “We can no longer be silent about Pakistan’s safe havens for terrorist organizations, the Taliban and other groups that pose a threat to the region and beyond,” the President said. ”These killers need to know they have nowhere to hide – that no place is beyond the reach of American arms.” And that is what Mattis has been doing. Hunting down every terrorist he can find and killing them. Pakistan should pay attention. They are not immune from the might of the US military. This last summer, we withheld $50 million in military aid to Pakistan because they would not shut down the Taliban and the Haqqani Network. At the time, liberals whined about it, but there was no doubt that Pakistan was refusing to help fight the Taliban and was even actively colluding with them. The Pakistanis have never truly been friends or allies of the US and were part of the whole Bin Laden mess as well. Now, they are about to start paying the piper over all this. It was the Pakistani military who rescued that Canadian-American family held hostage for years by the Haqqanis in October. But even that was thought to have been the result of a deal between the Pakistanis and the militant network, which has long been suspected of enjoying special favors and protection from elements of the Pakistani security apparatus. I don’t think that would shock anyone paying attention out there. The prisoner that Pakistan refused to allow the United States to interrogate was tied to the kidnapping of this Canadian-American family. This is why Trump has had it with Pakistan and I don’t blame him. On Thursday, Pakistani military spokesman Major-General Asif Ghafoor warned the United States against taking “unilateral” military action on its soil and denied his country was not doing enough to fight the Taliban and its allies, promising that the results of Pakistan’s counterterrorism operations would be “seen in subsequent years and months.” I seem to have heard that tune before. Not buying it. After making this declaration, Ghafoor implied Pakistan could actually do more, once its concerns about Afghan refugees are addressed. “If there are any facilitators and abetters inside Pakistan that can only be addressed if the 2.7 million Afghan refugees are sent back to Afghanistan,” he said. That’s their business and none of our concern. What is our concern is terrorism and the stopping of it. Excuses don’t cut it anymore. Trump is doing the right thing here.